Doctors call it “acoustic trauma” and it happens when a person is exposed to sudden bursts of noise (over 130 dB for adults and 120 dB for children) loud enough to send sound energy into the inner ear. Continuous exposure to acoustic trauma results in hearing loss which is irreversible and without a cure. 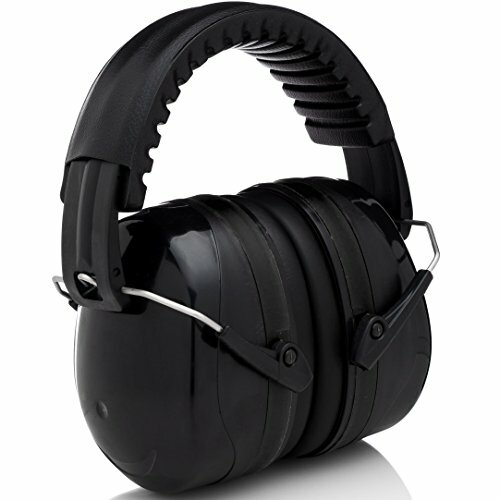 As a result, we create a list of products that offer the best ear protection for shooting. At risk for this kind of injury are individuals who engage in shooting firearms as a form of leisure and relaxation. According to 2017 studies, more Americans engage in target shooting and hunting than those who play baseball – the country’s national sport. Even the simple air gun (or BB gun) which is used to hunt, scare pests, or used in sporting competitions has been included in the recommendation by the National Library of Medicine for use of ear protective gear. The 141001 Safety Ear Muffs from Clear Armor consistently lands on the lists of top protection ear gear for 2019. 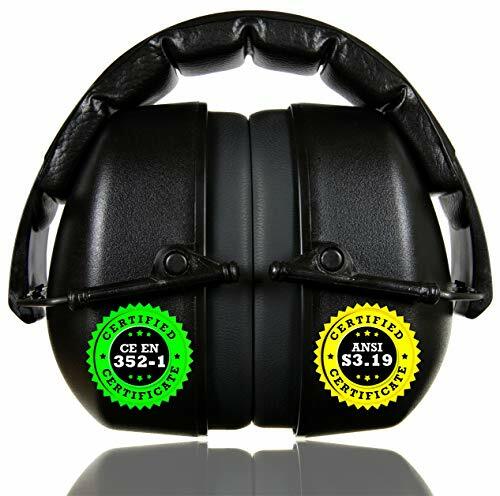 It has one of the highest NRR rates at 34 dB and has been certified S3.19 and EN 352 which means its design is in accordance with the highest American and European standards in noise reduction and ear protection for ear muffs. While this product is sold at a higher price than many other ear muffs in the market it is rightly justified by its performance and guaranteed to be unbreakable. It is also an industrial grade and very comfortable. Also noticeable is the fine craftsmanship used so you can expect nothing to come unglued since the company assembled using real screws. Clearly a leader in ear protection, this provides some of the best protection for shooting in order to prevent acoustic trauma. It’s functional and offers one of the highest hearing protection ratios at 34 dB NRR. The high-density Shooting Ear Protection earmuffs from Pro for Sho has noise cancellation, a solid design that is surprisingly light and compact. More importantly, it has a money back guarantee and uses a material that is scratch-proof and water resistant. It easily adjusts to any head size and can be worn for hours without feeling any discomfort. This product is a classic case of a simple over-performing product that won’t take your breath away with its design but will make you keep coming back to it because it is dependable and well-made. Howard Leight is a brand of safety products by Honeywell and known for their HearForever campaign. 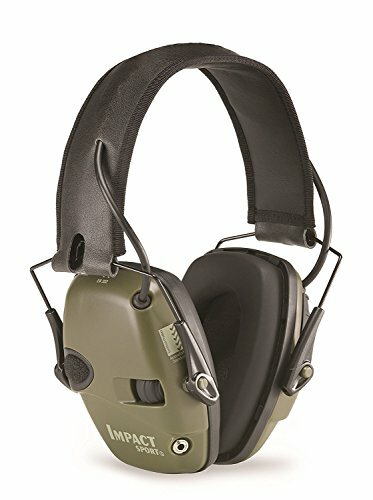 Although Howard Leight has many hearing safety products, it is the folding, battery-powered Impact Sports earmuffs in Hunter Green that truly does an exemplary job in protecting your ears. This product requires three triple A batteries which are provided and the design is made with easy adjustment so it can comfortably fit any head size with a few manual adjustments. 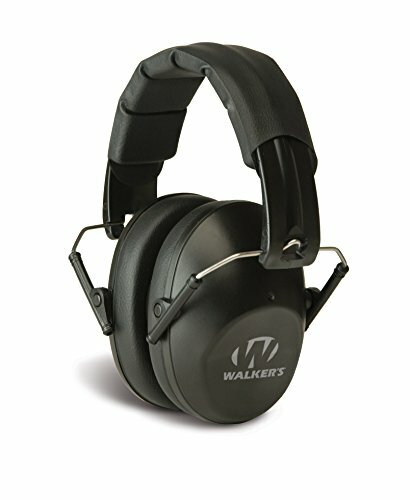 This folding black earmuff from Walker’s Game Ear which is specifically made for shooting sports and hunting. It has an NRR of 31 which compensates for the lack of a noise cancellation feature. 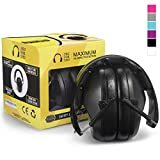 Wearing these earmuffs, you will appreciate the soft, high-quality material used which helps if you plan on using it for extended periods. On the downside, this is not something you can expect to keep for life. It serves its purpose well but is not recommended for those with large heads. If you are the type of person who perspires a lot, you will love this Ear Defense 3000 Safety Ear Muffs. They are designed to keep your ears cool and prevent neck strain. They are lightweight at only 4 ounces but made with durable material that can handle a little rough wear and tear. In conclusion, all these products work great for shooting recreational activities like hunting and target shooting and any one of them would accomplish the purpose of protecting you from acoustic trauma which brings the choice down to price, brand, and whether you want a passive ear protection for shooting or one that requires batteries.